One of the really nice things about Swerve (affiliate) is its heat stability, making it great for things like baking. I’m not really sure what it never struck me to try it in BBQ rub recipes that would ordinarily call for sugar, like this Espresso Keto BBQ Rub. This is a loose adaptation of a rib rub recipe I have used for about five years now. As you’re all going to find out, I am a little bit mad about coffee, so it sort of stands to reason that my coffee mania would bleed through into my other love, BBQ (and now Keto BBQ). To those of you that have never had a coffee-based rub before, you might think that it would taste unbearably dark. While it is definitely deeper in flavor than a normal paprika-based rub that you’d normally see, the sweetness and dimension that the other spices lend it give it a lot of depth of flavor. This serves to mellow the coffee flavor enough that it does not overwhelm the taste of the meat. Some of the places this Espresso Keto BBQ Rub really shines are on high surface area applications like pork ribs. This is especially the case if they are smoked with heavy flavor woods like oak or mesquite. You can’t live in Tucson without tripping over a mesquite every ten feet. As a result, it has become a signature flavor at our house. I would definitely not waste your expensive daily drinker coffee on this recipe. Overall, people have a taste for smoother, less bitter coffees, and those tend to be more expensive. The cheaper brands and basically every generic supermarket label tend to be a little more harsh and bitter up front. Heavy oak or mesquite smoke would overpower the milder flavor of a premium coffee. So, I’d definitely reach for the cheap stuff. I actually used to use Café Bustelo for this recipe before hipsters adopted it as a trendy item. 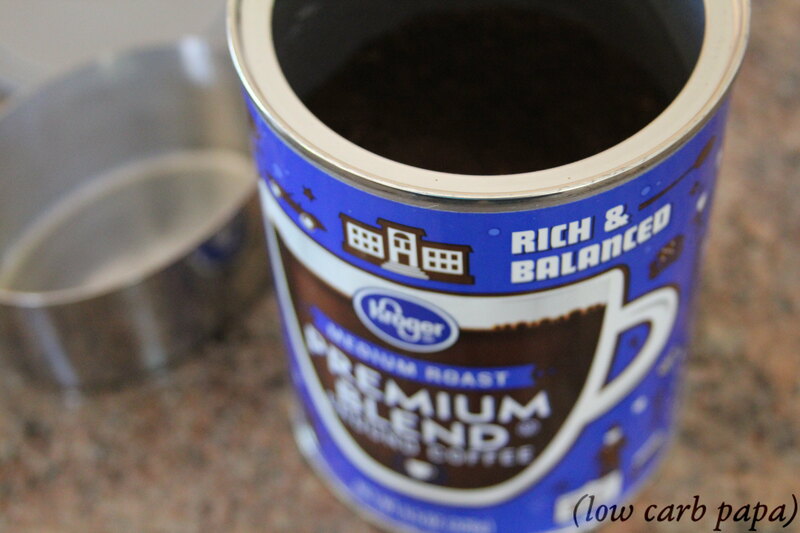 I moved to supermarket brand coffee when got more expensive as a result. This rub really shines on smoked pork ribs and especially with woods with heavier flavors such as mesquite or oak. Combine all ingredients and store in an airtight container until ready to use. Shake well before applying. Swerve (and honestly erythritol blends of all kinds) have a reputation for being a little bit resistant to dissolving, which is why I call for the Confectioners-Style version of the sweetener here. 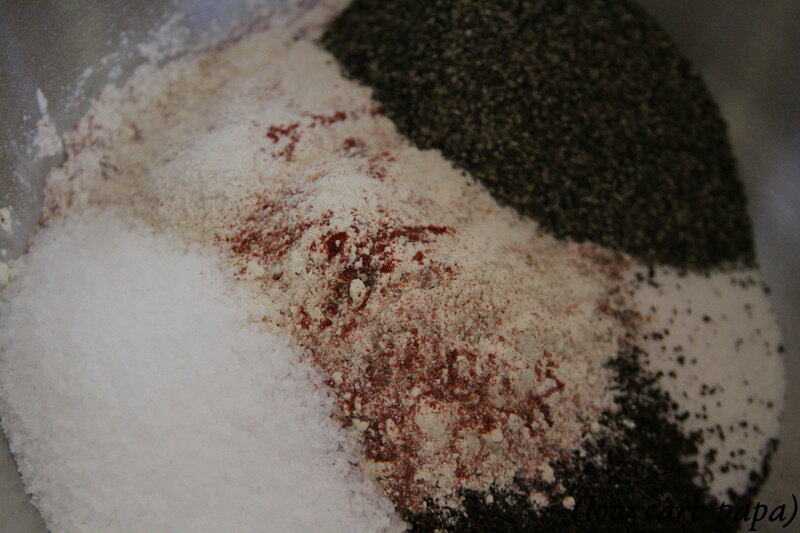 This is not an application where it will be surrounded by a lot of liquid, so the fine powder will help things along. If you are using granular or generic erythritol, you might want to consider grinding it up more finely in a spice grinder. No Replies to "Espresso Keto BBQ Rub"